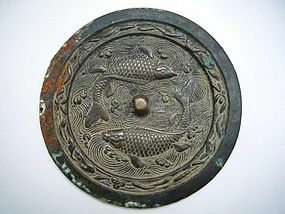 Rare and large bronze mirror, decorated with two fish between waves. China, Song Dynasty (960-1279). Diameter 15,5 cm. Good condition and wonderful patina.